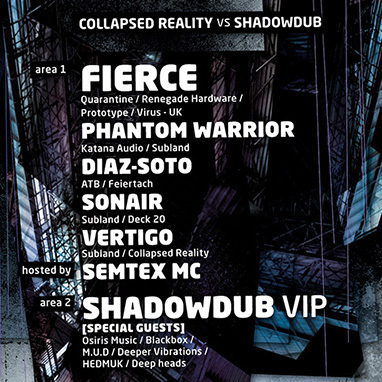 The Collapsed Reality boys have Quarantine Head Honcho and influential Dj & Producer FIERCE from London / UK in the house on the Main Floor of Berlin’s finest Subland along the local heros. 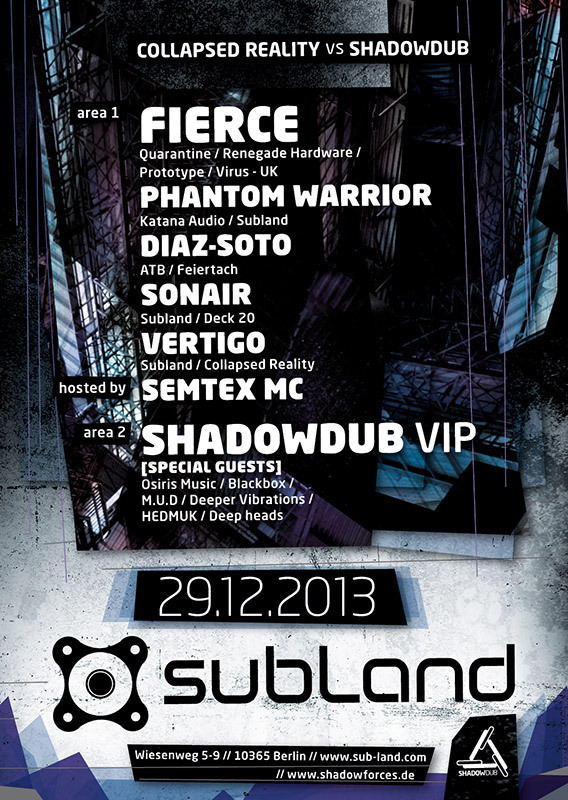 The second floor has a big suprise to come with secret guest coming from Osiris Music, Black Box, MUD / MUV and more! SECRET GUESTS from Osiris Music, Black Box, MUD / MUV, Deeper Vibrations, Deep Heads, Hedmuk – this is going to be a big one, trust us!